Well less then 4 days away and the NYC Marathon will be underway. Make sure you track me bib # 3069 or watch it live on line. I will include instructions on how to do this in this post. Leg feels good and just enjoying the rest. While you’re running, folks will be trying to catch a glimpse of the marathon—whether they’re on First Avenue in Manhattan or across the globe. WNBC 4 New York will broadcast a live five-hour program starting at 9:00 a.m. NBC Sports will broadcast a two-hour feature from 2:00 to 4:00 p.m. EST. Set your DVR to relive the race later! 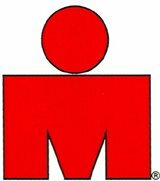 For live race streaming, visit UniversalSports.com, beginning at 9:00 a.m. Streaming coverage will also be available on-demand from your computer when you return home.